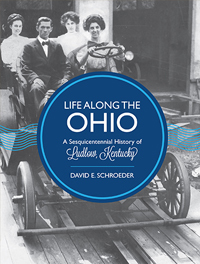 For its sesquicentennial, David Schroeder, a third-generation resident of Ludlow, Kentucky, wrote a history of this small community on the south side of the Ohio River in the Cincinnati Metropolitan area. 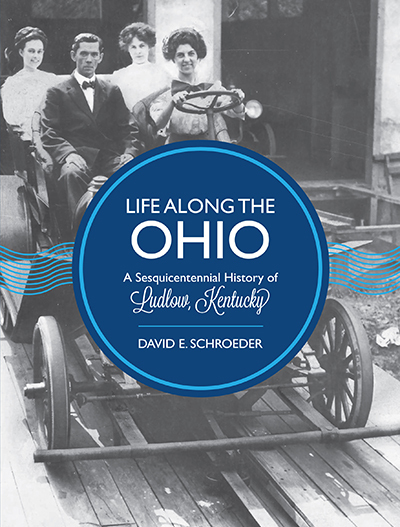 Initially settled by wealthy businessmen and southern planters, the city was transformed with the arrival of the Cincinnati Southern Railroad in the 1870s and streetcar service in the 1890s. Among others, the city became home to many German and Irish immigrants. Although experiencing a decline in population after World War II, the city is experiencing a renaissance with new housing, businesses, and growing civic pride.